With crazy rumors circulating about Lane Kiffin ... the University of Alabama says there is one thing that is certain -- he's STILL the offensive coordinator for the football team. 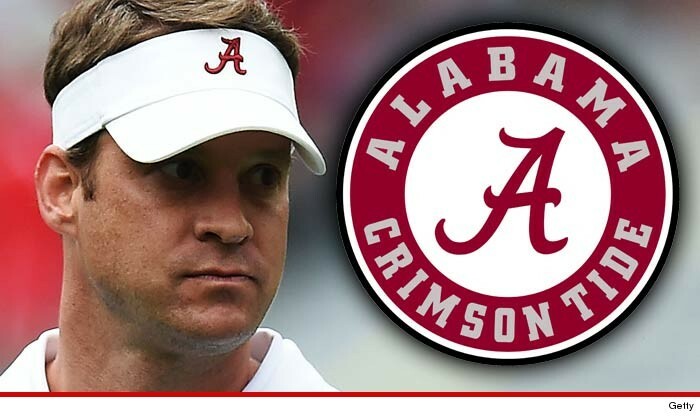 Kiffin's name is blowing up on social media today ... over completely unverified rumors that Kiffin was involved in an affair with a high profile Alabama lady. One of the rumors was that the alleged banging set off head coach Nick Saban -- who gave him walking papers. But TMZ Sports spoke with Josh Maxson, the director of communications for Alabama football, who tells us Kiffin is "obviously" still employed and remains the team's offensive coordinator. Maxson also told us he didn't want to comment on any "stupid" or "crazy" rumors.